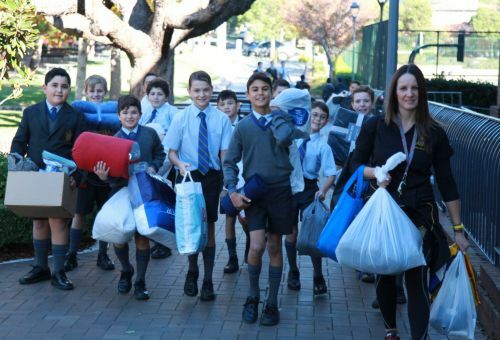 Throughout Week 4 of Term 2, the College community banded together to donate warm items and toiletries for those who sleep rough each night. The Social Justice Action Group organised the collection and sorted all items including sleeping bags, blankets, socks, beanies, gloves and toiletries which will be made in to packs. The generosity was evident. Hopefully our actions can have a small impact on those who are in need and bring the margins closer to us. Thanks to all who got involved.